For the past three years i have been using adsense for content on my blog and the only method of payment was via a check sent across to me through DHL. On monthly basis, it took quite a whole lot of time, weeks and sometimes months before my check is cleared into my domiciliary account in Nigeria. This particular format of receiving my earnings was like the only option available since Google adsense only made provision for that for some countries in Africa excluding the likes of Nigeria and some other African countries. 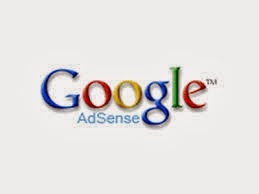 Whats New In Google Adsense? To my greatest surprise today, i received one of adsense newsletter in my mailbox, concerning the introduction or the plan for introduction of the adsense wire transfer payment option to users in African countries. With the little research i made, adsense publishers residing in Indian, have already started enjoying the benefits of wire transfer payment method after the upgrade was completed and it is now left for publishers within the African continent to enjoy the effect of this supposed upgrade from the google adsense team. What Is Adsense Wire Transfer Payment? This is the same as transferring fund or cash to your account via an internet banking method or any other supported medium. One advantage to this method is that it is very fast and reliable. Recipient receives fund sent almost at the flash of light. So it could be more of advantage than the payment by check option. For those of us who have been receiving our payment via check payment in the past, you should be aware of the charge of 17 euros,the delay in receiving checks and getting it cleared by the banks and how it can trigger your patience sometimes. You would have to wait for almost a month or even more before you can get your check cleared after spending a reasonable length of time waiting for the courier services to deliver your check slip to your bank. That can be so annoying sometimes but one has to be patient since there is no other better option available to publishers. But with this new introduction, publishers would be smiling to the bank immediately after wired payment is done. I know you have something to say about this, spit it out in the comment box below. I say that because a lot of my Nigerian friends have problems regarding payment as perhaps PayPal isn't an option they have in hand, so perhaps this would help them a great deal, and if wire transfer works, that would be great. Wow! i am so glad you could make it to my blog today. Thanks. Alot of Nigerians are happy about it and even the indians are happy about this upgrade as well. This action alone has drastically reduced the delay associated with payment to Nigerians. Now there is even a better news, My adsense account has been upgraded with the wire payment. So i should be dancing to the bank when soonest. Maybe one of this days, i am gonna implement some codes on Techmaga.com.Thanks for stopping by and have a nice day.